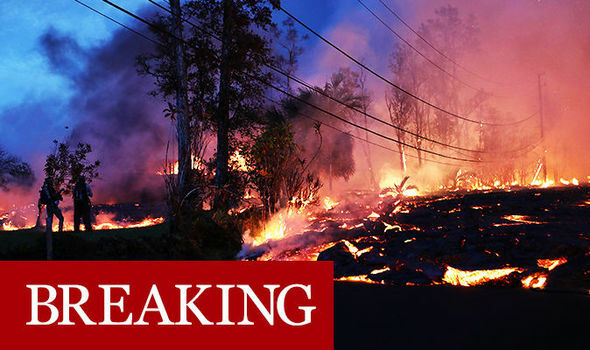 Fast-moving lava from Hawaii’s Kilauea volcano forced officials to close part of a highway on Tuesday, and they warned that sharp, thin strands of volcanic glass fibres carried by the wind could injure eyes and lungs. As lava crossed Highway 132, officials shut a stretch of road from Lava Tree State Park to Four Corners and told residents who had not evacuated to leave the area immediately. The lava flow destroyed a farm where Kevin Hopkins and partners raise tropical fish and the ornamental carp known as koi.